If you use OneNote a lot you will find that it becomes very full of notebooks and notes rather quickly. This can make navigating the application a little difficult, so you might be looking for a way to help you find the pages that you need the most. 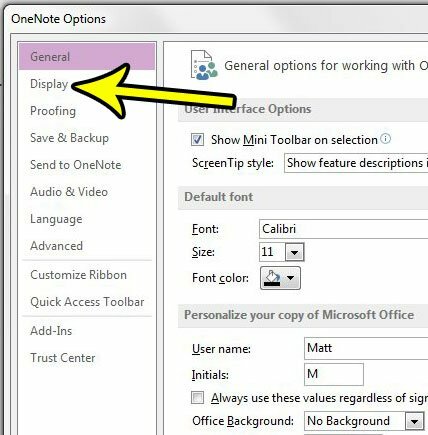 One way that you can do this is to change the display in OneNote 2013 to include page tabs at the left side of the window. This provides an additional method for finding and opening other pages, which can help to improve your productivity. Our tutorial below will show you where to find the setting that enables this option. The steps in this article were performed in Microsoft OneNote 2013. 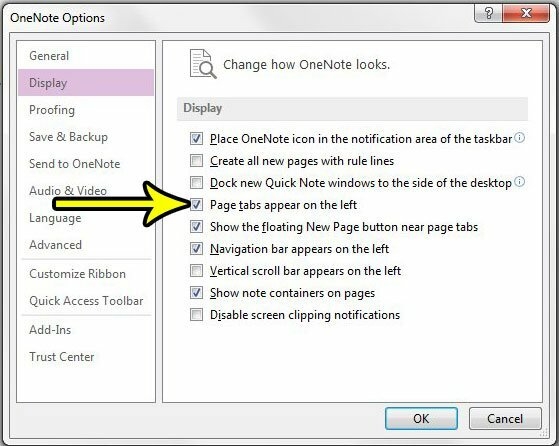 By completing the steps in this guide you will be changing the display of the OneNote window so that tabs for your pages appear at the left side of the window. This provides an additional means of navigating the application at the expense of a smaller amount of screen real estate for note editing. Step 2: Choose the File tab at the top-left corner of the window. 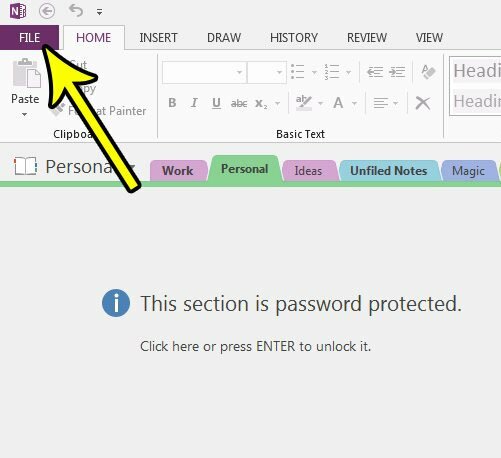 Step 3: Select the Options button in the left column of the OneNote window. 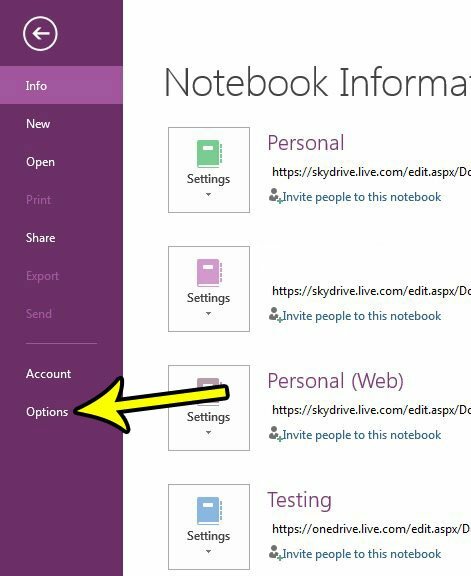 Step 4: Click the Display tab at the left side of the OneNote Options menu. Step 5: Check the box to the left of Page tabs appear on left, then click the OK button at the bottom of the window. The page tabs should appear immediately, allowing you to see how this option will look as you use the program. If you find that they are in the way or taking up too much space, you can always return to the menu in step 5 and uncheck that box to remove the page tabs. Have you ever lost data in Word because your computer crashed, or the program closed unexpectedly? Find out how to increase the auto-save frequency in Word so that it saved your data on a more frequent basis. How Do You Take a Picture of Your Screen on the iPhone 5?